I recently spent a week away from home. 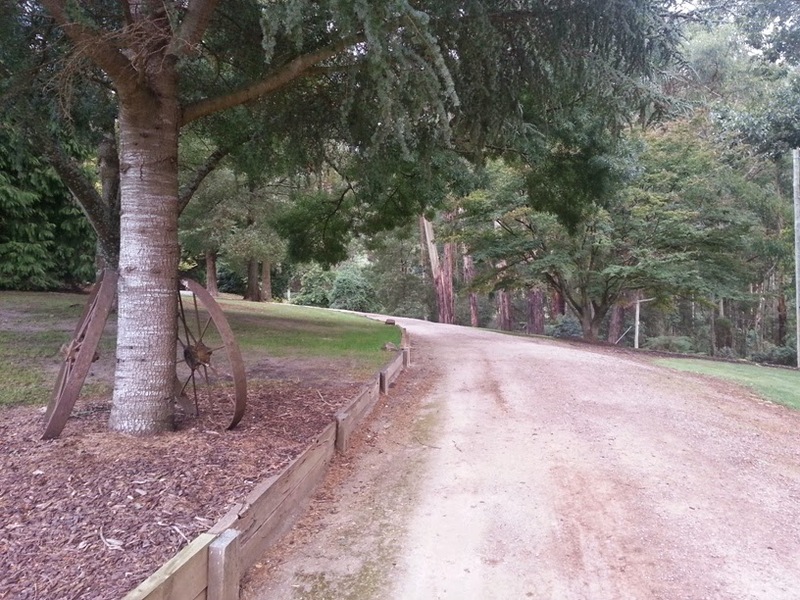 I couldn't really afford to take time out from my writing and other projects but I was attending a conference in the Dandenong Ranges that simply couldn't be missed. This conference is held by the Australian Mediumship and Phychic Academy annually at the most gorgeous location - The Country Place in Kalorama. I attend this conference every year and it's a wonderful opportunity to meet like-minded people and enjoy spirtual nurturing and mediumship training of an exceptional level. But this isn't my topic this week. What I really want to talk about today is the benefit of taking time out of your normal routine to reinvigorate yourself. Writers spend hours and hours, every day, working alone and detached from the outside world. It can be terribly isolating and sedentary. It is also a very lonely occupation, yet in a curious paradox, we do it because we love it. We love it even as we realise it is isolating and sedentary. I'm fortunate in that I have the opportunity to get out a lot. I exercise most mornings - often with a group - and I regularly go to a local cafe where I know the owner and many of the other patrons, so it's a bit of a social gathering. Even so, a week in the mountains, surrounded by people I only see once a year, but with whom I connect in a special way, is unmissable. For me, it's a time of learning, but also rejuvenation. When I arrived home I was greeted enthusastically by Panda and Katie, my fur-kids, and of course Stuart. Then the following morning I woke up refreshed, relaxed and eager to get into my work. Once I got stuck in, returning phone calls I'd missed during the week and responding to emails and facebook messages I'd received while away, I was quickly back into the swing of things. Yet I felt motivated and eager to get to work. It made me think, though, about how important it is to get away. I would urge everyone, for your sanity, for your health, even for the benefit of those who live with you, to get up from your desk and walk around. Go outside if you can, breathe deeply and take a moment to be present in your body and mind. I think I read somewhere that those people performing a desk-bound job should get up for ten minutes every hour and leave their desks. Sounds great in theory, but in reality, when you're in the flow of something, it's difficult to force yourself away. But try - if you can. So, in closing this week, I say, "You there! Step away from that desk!" 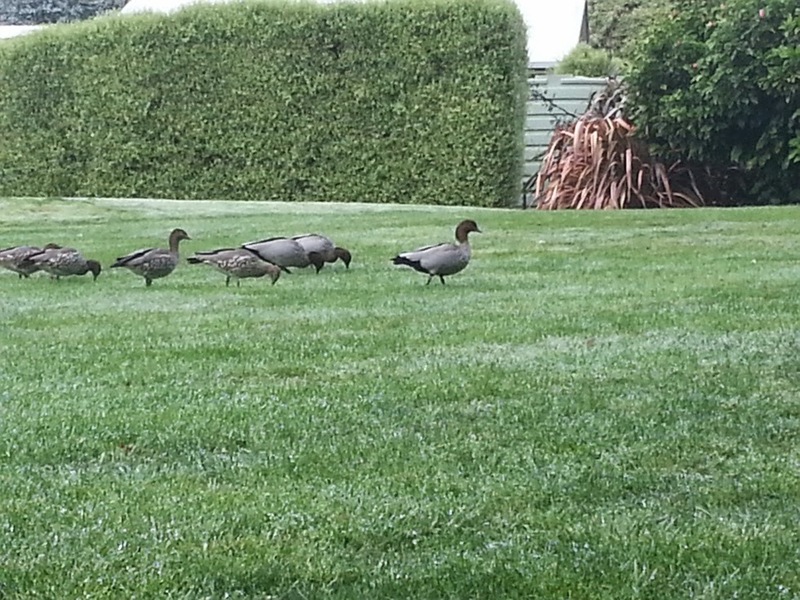 A few of the locals at The Country Place. The driveway at The Country Place.